A 1-0 win this afternoon against Fleetwood Town has taken our under-23s into the semi-finals of the Lancashire Senior Cup and an away tie against either Rochdale or Everton. Nine days ago, three players returned from injury to play in the FA Cup win against Barnsley. Those three, Nick Pope, Stephen Ward and Steven Defour, were all in today’s line up as they edge closer to full fitness . Pope had virtually nothing to do all afternoon, Ward was steady, apart from trying his luck from distance and firing his shot way over the bar, and Defour was influential in the midfield alongside Josh Benson as we dominated for much of the game. But it was an afternoon of very little goalmouth action and few chances with the one goal coming via an own goal, and this was very much a definite own goal, from Fleetwood defender Cian Bolger who could do no more than turn a ball from Benson past his own goalkeeper. It was a surprise that we only led by one goal at half time having been by far the better team and it was very much the same for long periods in the second half with Fleetwood rarely threatening to get back into the game although Pope did at least have a couple of routine balls to catch over a group of players. Not too long ago, this team was scoring goals for fun while conceding too many. Things have changed somewhat and in the last three games we’ve scored only once, this own goal, yet conceded just twice. From one cup competition to another. This Friday we are back at Curzon Ashton for the visit of Bournemouth in the Premier League Cup. Before then we will know our Lancashire Senior Cup opponents with the Rochdale v Everton game taking place tomorrow evening. 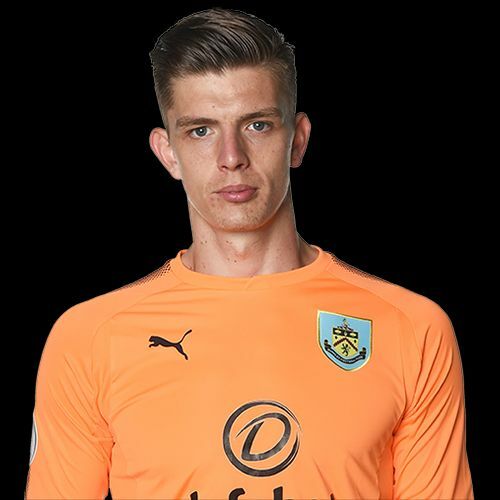 Burnley: Nick Pope, Jordan Cropper, Bobby Thomas (Ed Cook 61), Anthony Glennon, Stephen Ward, Tunde Bayode, Josh Benson, Steven Defour (Mark Howarth 76), Marley Blair (Tinashe Chakwana 83), Rob Harker, Dan Agyei. Subs not used: Adam Bruce, Matty Rain. Fleetwood: Billy Crellin, Harrison Holgate, Lewis Baines, Katlego Mashigo (Dylan Boyle 70), Cian Bolger, James Hill, Gethin Jones, Jay Metete (Kian Makepeace82), Gerard Gardner, Dan Mooney, Eddy Clarke (Carl Johnson 70). Subs not used: Alex Clayton, Liam Goldsborough.